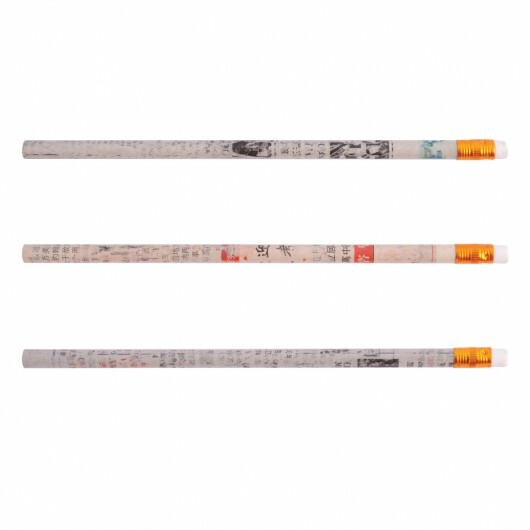 Give your customers an Eco friendly practical product with some of these recycled newspaper pencils. Made from recycled newspapers, these pencils will instantly make an association between your company and being Eco friendly. They're a round full length size with white barrel, black and red Asian newspaper copy lightly printed on.